Most of us have thousands of files, emails, text messages, social media posts, appointments etc. spread across many places. We waste too much time tracking, organizing, searching and managing this sprawl. 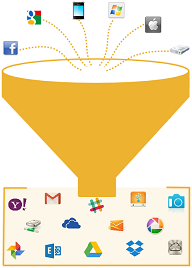 Our aggregator app Blob simplifies your digital life by letting you do it all from one place. 1) You tell Blob about all your storage locations – local & remote. 2) Blob indexes them. It saves encrypted index files to your computer only. Nothing about your content is ever sent to our servers. 3) You can now search, organize, manage and use all your digital content with Blob. Find any type of content from anywhere with whatever you remember. 350+ ways to search – including emails, text messages, social media posts, comments, appointments etc. Search local disks, phones, CDs and remote email, cloud storage & social media accounts in a single search. Find attachments inside emails, text messages etc. 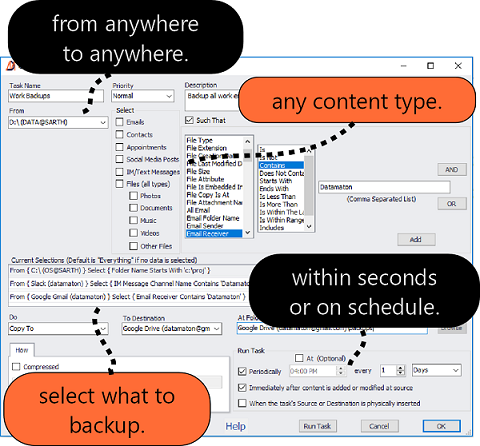 Create Virtual Folders to store any type of content from anywhere. Group together related files, emails, appointments, text messages etc. into Virtual Folders. 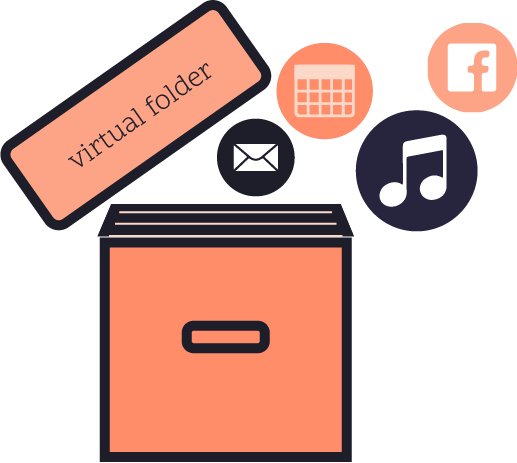 Search, backup and use virtual folders just like normal folders. Assign tags to any content type, stored anywhere. 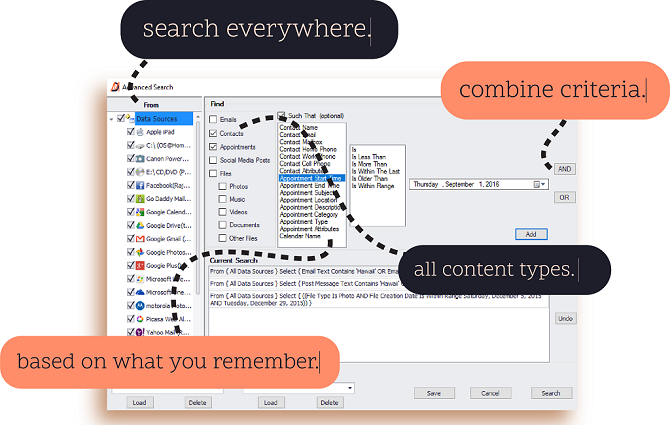 Move or copy any type of content from anywhere to anywhere. Backup files within seconds of being created or modified. Backup emails, posts, text messages & appointments. Backup phones, cameras etc. Copies are in the original or standard format – usable even outside of Blob. Move/migrate content (e.g. emails) from old account to new to close old accounts. Share, upload and download files to/from cloud storage. Read, create, reply & forward emails and text messages. 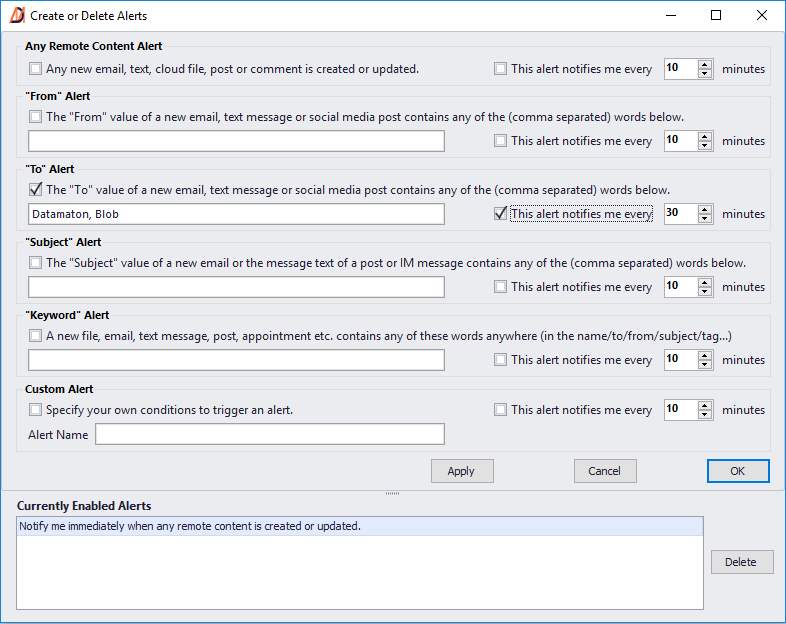 Create configurable alerts to notify you of new and modified content.